[TV Report = Kim Yena reporter] Their album made it to #1 on Japan’s Oricon Charts. They hold concerts in front of 5000-strong crowds. 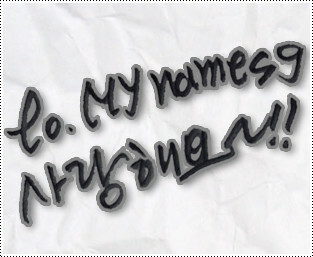 This is MYNAME, who entered the Japanese market in 2012. But they first made their debut in Korea in 2011, and it’s been 5 years since. MYNAME are promoting in both Korea and Japan concurrently. But the response on both sides are vastly different. With chart-topping albums in Japan, they are quite popular. But they are not well-known in Korea, and are even called ‘second-hand rookies’ by some. Comparing both situations, MYNAME’s sorrow is greater. When they were just setting up their fanclub in Korea, they already started getting love calls from Japan, and succeeded there. The demand for MYNAME is greater in Japan, and they can’t stop their current promotions there. That’s the reason MYNAME already has 3 albums which they have been promoting in Japan. On the other hand, they were not able to focus on their Korean activities. Because of that, MYNAME were not able to garner much attention in Korea. But things are looking up for MYNAME in 2015. They released ‘Too Very So Much’ in February and ‘Just Tell Me’ in May. They also held their second solo concert in Korea after 2 years and 2 months although it was definitely on a much smaller scale compared to their Japanese concerts. Despite all that, MYNAME prepared a variety of performances for their fans who’ve waited so long. Last May 24th, the five members Gunwoo, Insoo, Seyong, JunQ and Chaejin held their second solo concert ‘The Third Promise’ at Seoul’s AX Korea for over 2 hours with about 20 songs. “It’s our first Korean concert in a long time so the reaction was hot. There were things we were worried about when we started but we’re okay now. When we have concerts, naturally our sweat and spit would come out. Please look forward to more,” said MYNAME, showing their anticipation for the rest of the concert. 5 years after their debut, MYNAME took to the stage and looked back on their promotions and talked about the ups and downs. They listed their debut and Korean concerts as their happiest moments, their training period when their debut was uncertain as their hardest period, not seeing their Korean fans while promoting in Japan as their saddest period and the times spent with family and friends during their breaks and communicating with their fans as the most fun times. The youngest Chaejin could barely make it through the song while crying, and the other members’ faces were filled with similar emotions. This entry was posted on June 1, 2015 by mynamesg. It was filed under News .